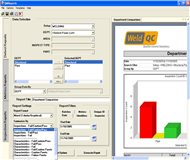 The QMReports module is used by engineers and managers to analyze and report the results through a user-friendly interface. 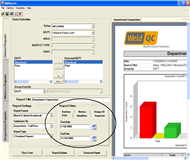 The inspection results are accessed from the QMSuite Database for analysis and reporting. 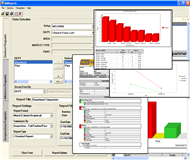 Flexible filtering and sorting tools allow the user to quickly analyze data as a function of the following. Data sorting and filtering operations can be saved as report templates and reused for recurring reports. Data can be displayed via graphs, tables, or a combination of both.